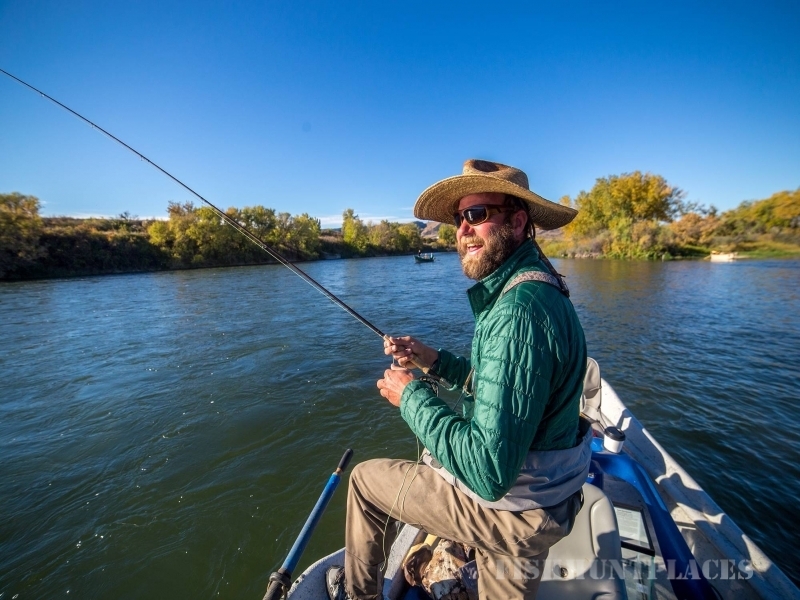 The Bighorn River is not the kind of river to befuddle all but the elite fishermen. 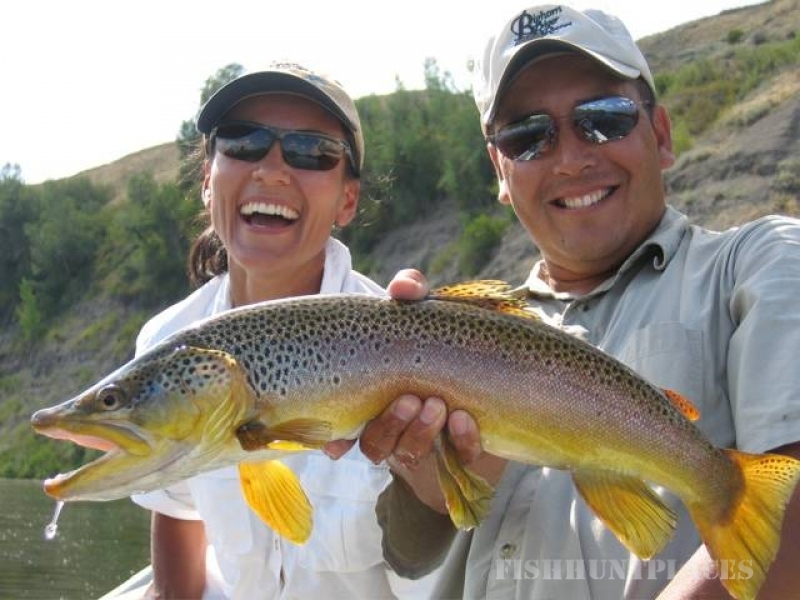 It offers one of the largest concentrations of wild Browns and Rainbow trout in the west. 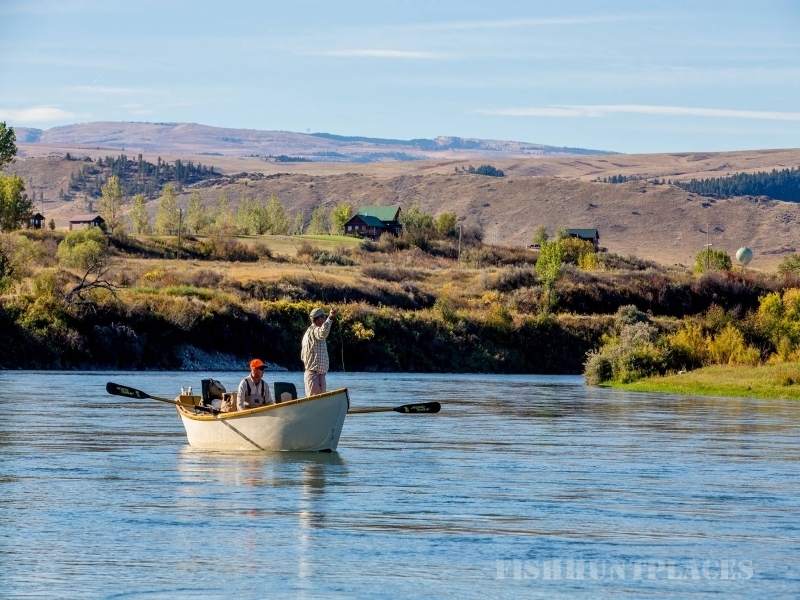 Not to say these fish don’t provide challenge, but alongside one of our Orvis-endorsed guides you are almost guaranteed a fair share of fly fishing photo ops. 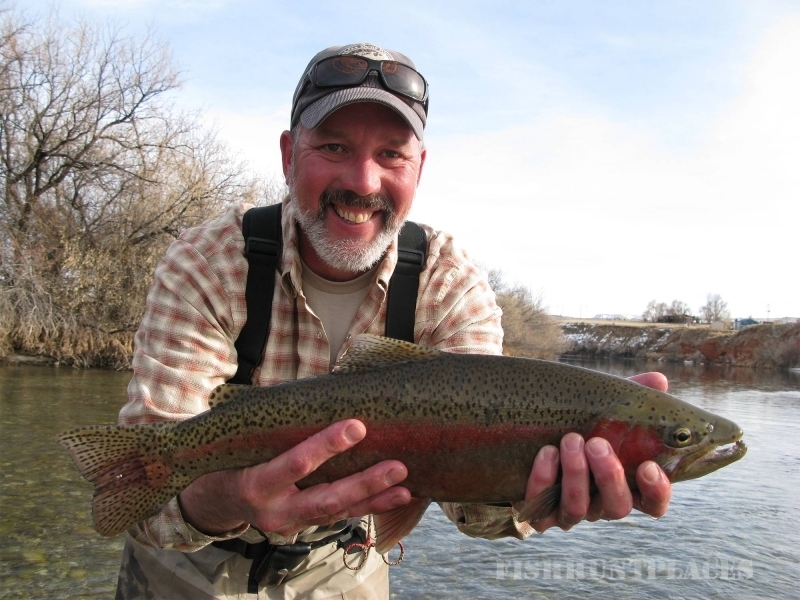 History suggests that you could bring in a trout between 18" and 22". Entering Montana more than 150 miles downstream from its origin in Wyoming, it flows into Bighorn Lake, formed by the Yellowtail Dam. 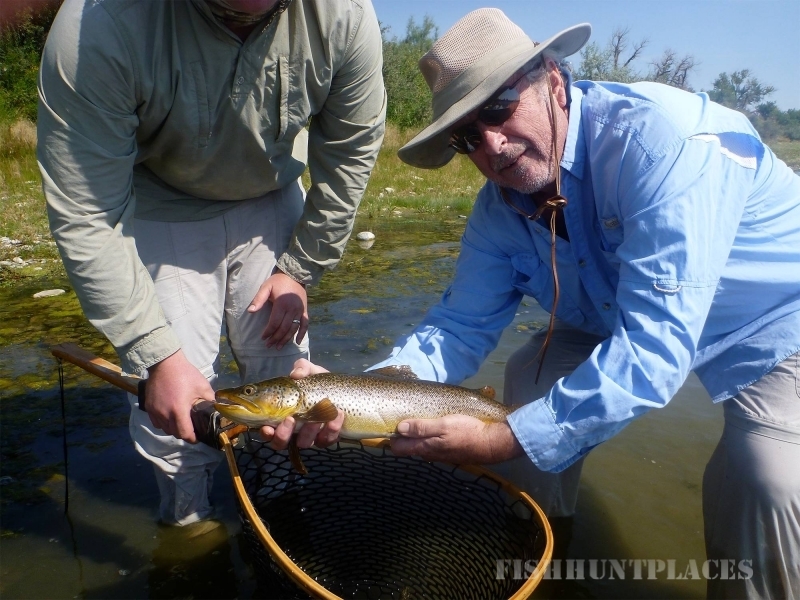 "The Horn," as anglers call it, is nationally recognized as one of the premier trout streams in the United States, and Forrester's Bighorn River Resort happens to have the best access to the finest Bighorn River fishing spots. 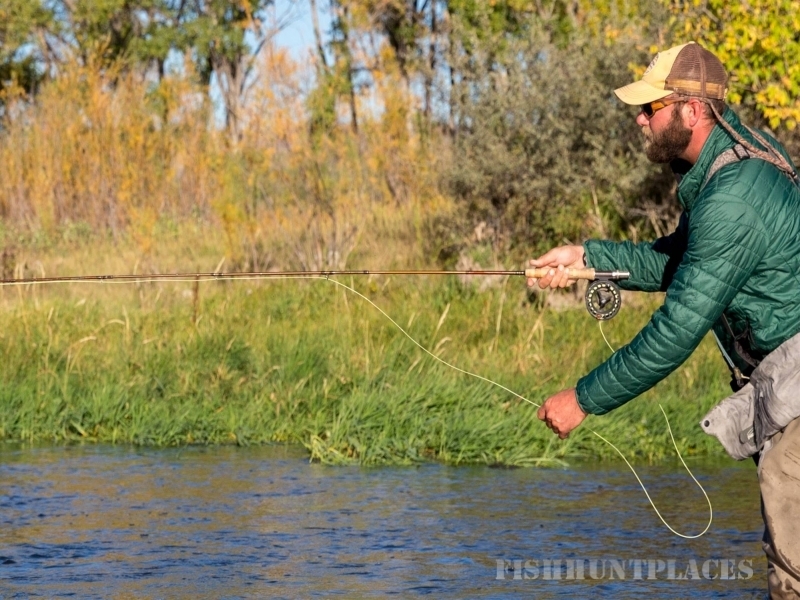 One of the completely unique offerings of Forrester's Bighorn River Resort is taking one of our high-country excursions to one of our remote outpost camps in the Cloud Peak Wilderness. 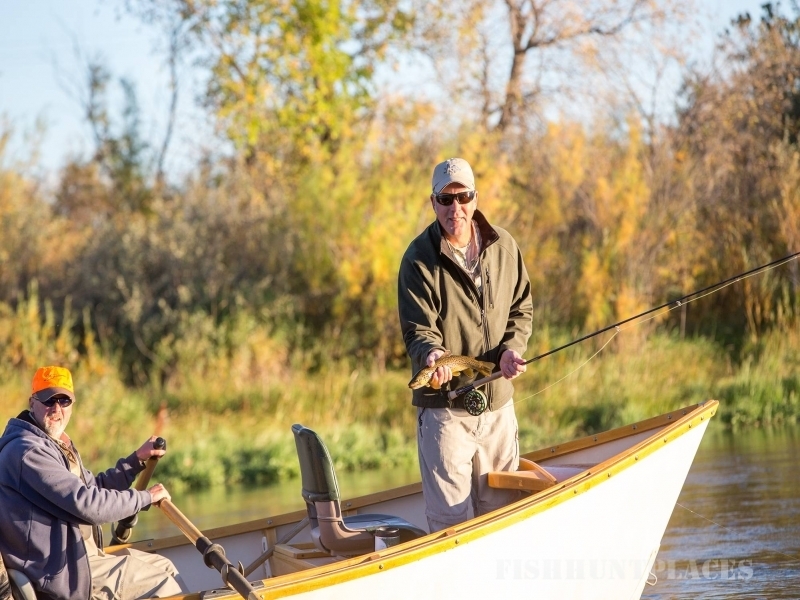 Call (406) 333-1449 today to book your stay at our Montana fly fishing resort. 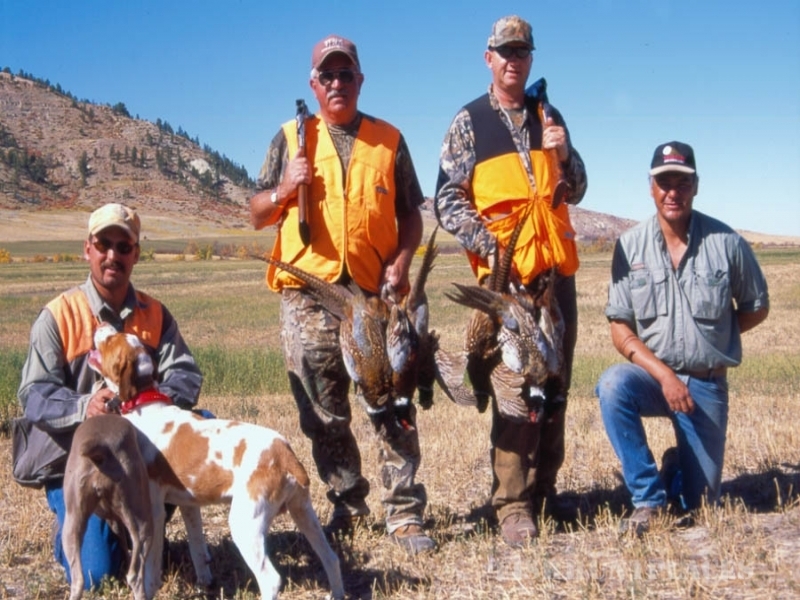 Here at Forrester’s Bighorn River Resort, you’ll find unmatched opportunities to enjoy Montana bird hunting, which is fast becoming one of the most popular of all sporting pursuits. 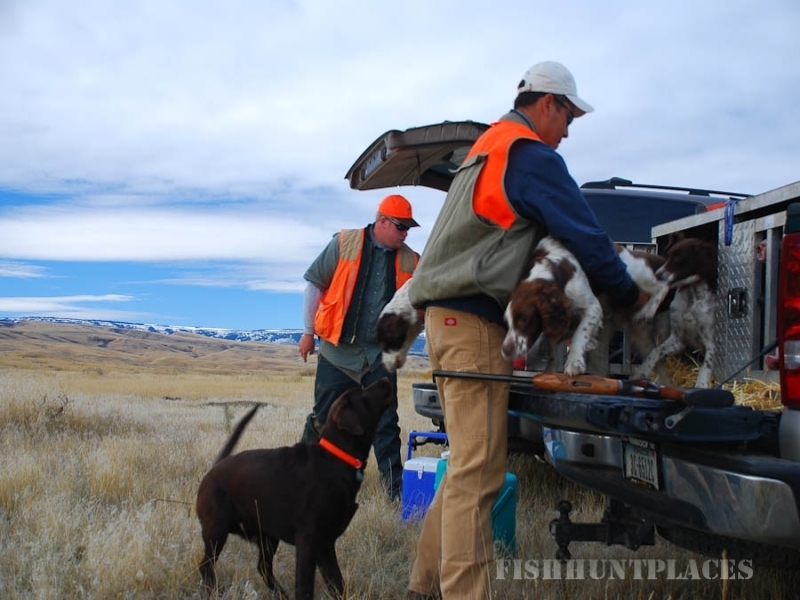 The irresistible combination of working alongside a trained gundog, participation in conservation programs, and scouting upland bird habitats all add to the excitement as preparation for a day in the field are made. We encourage you to contact us prior to your visit with any questions you may have regarding gear. 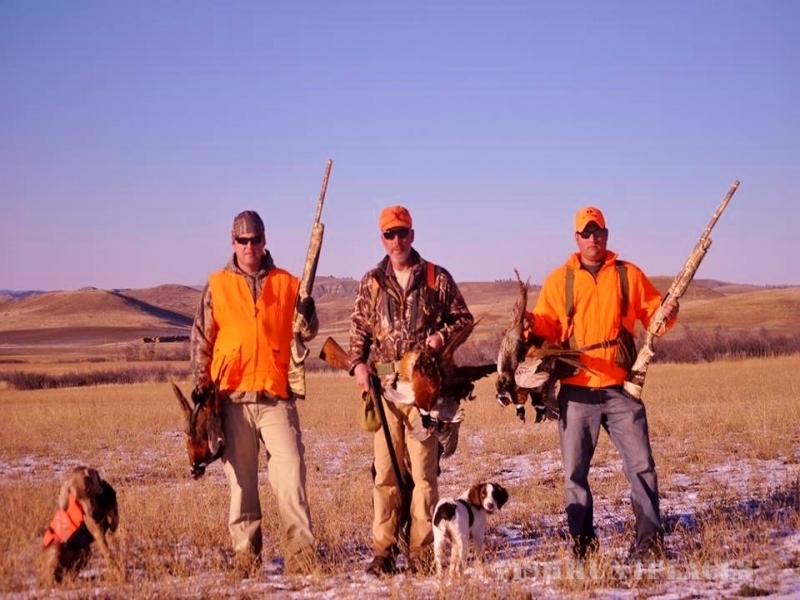 Our experienced hutning guides have been hunting in Montana for years and are ready to share their advice and tips.